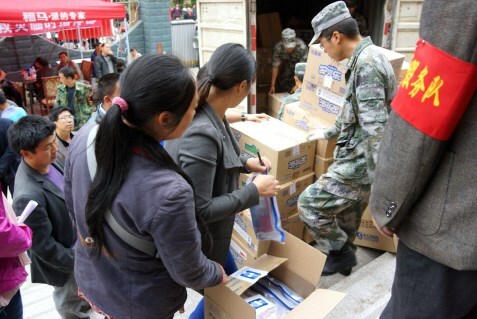 On the morning of 20 April 2013, a 7.0 magnitude earthquake struck Lushan in Sichuan Province killing 196, injuring close to 15,000, and displacing more than 250,000. Some 2.1 million people are believed to have been affected in all. There was also extensive structural damage to buildings and other infrastructure caused by chunks of rocks from the mountains falling into the valleys. Partner(s): Sichuan Foundation for Poverty Alleviation, Singapore Red Cross (SRC), Red Cross China, Chen Su Lan Trust, HSL, Millennium Hotel Chengdu, Wing Tai Retail, Wildlife Reserves Singapore, KOI Cafe, Pastamania, Sports Link Holdings Pte. Ltd.